Fig. 2. In vivo mutagenesis assay, using ALIZ. (A) Phage A-derived shuttle vector ALIZ. The partial fl origins in the vector allow the excision of the target region, pLIZ, as a single-stranded phagemid in E. coli coinfected with the helper phage, M13. The colEl origin of replication allows in a second step the recovery of pLIZ in a suitable E. coli host as a convenient double-stranded plasmid. This is a great help for mutational analysis at the DNA sequence level. pLIZ includes in addition to the target gene of mutagenesis, lacl, and the reporter gene of mutagenesis, alacZ, plasmid maintenance sequences and the ampicillin resistance gene (Amp). (B) Principle of the assay. alacZ is repressed in the absence of a mutation in lacl (scheme to the right) but is derepressed in the presence of a mutation in lacl (indicated by an asterisk in the scheme to the left). See text for details. (C) Overall performance of the ALIZ assay. It entails (1) the preparation of high molecular weight genomic DNA from tissue samples or purified cell populations, (2) the recovery of the ALIZ transgenes from the genomic DNA as infectious phages [accomplished by a phage-packaging reaction that utilizes the paired cos sites flanking the prophage; see (A)], (3) the infection of restriction-deficient recA lacZhM15 E. coli K12 SCS-8 with the recovered phage, (4) the plating of the infected bacteria in top agarose containing X-Gal (a substrate for /¡-Gal), and (5) the enumeration of /S-Gal-expressing blue mutant plaques after an 18-hr incubation at 37° in relation to the total number of plaques. The efficiency of the phage-packaging reaction ranges in our hands from 2 x 104 to 6 x 104 plaques per reaction. A.LIZ permits the expression, via a derepression mechanism, of the /J-galactosidase (/¡-Gal) reporter gene, alacZ, whenever an inactivating mutation in lacl occurs. lacl encodes the physiological lacZ/alacZ repressor, the LacI protein, which binds in its unmutated tetrameric form to the operator, lacO, and blocks or represses, thereby, the transcription of alacZ. 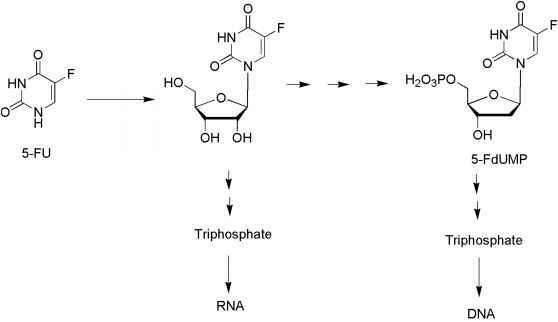 This is illustrated with the stalled RNA polymerase complex in Fig. 2B (right). A mutation in lacl—which either abrogates coding potential altogether (by creating a stop codon or frameshift), or results in the synthesis of a weak dysfunctional protein that is unable to undergo proper tetramer formation and binding to lacO (via base substitution)—allows the RNA polymerase to read through and produce the a portion of the lacZ transcript. alacZ is said to be derepressed in this situation (Fig. 2B, left), and the encoded a portion of LacZ can be combined in «-complementing E. coli with the co portion of LacZ (encoded by the bacterial genome) to form a catalytically active /¡-Gal protein. The overall performance of the XL1Z assay is illustrated in Fig. 2C. Mutant frequencies in gene lacl are calculated as the ratio of mutant to total plaques. To identify the nature of individual mutations in the lacl target gene, mutant plaques can be cored, verified by replating, and analyzed at the molecular level, which is most commonly done by DNA sequencing. To avoid the loss of lacl mutants expressing the phenotype of a light blue color, the inclusion of the CMO and CM1 faint color mutants is recommended as an internal sensitivity standard of the assay.8 The ALIZ system is commercially available as the Big Blue in vivo mutagenesis assay (Stratagene), which is supported by a range of related products and a useful website (www.stratagene.com/cellbio/toxicology/big_blueJntro.htm) that includes an extensive bibliography. In addition, J. de Boer (Center for Environmental Health of the University of Victoria, BC, Canada) has designed a beautiful Web page (http://esg-www.mit.edu:8001/bio/pge/mutants.html) on the XLIZ assay, which contains useful databases, downloadable software, detailed experimental protocols, and much other beneficial information. 8 B. J. Rogers, G. S. Provost, R. R. Young, D. L. Putman, and J. M. Short, Mutat. Res. 327,57 (1995).